I’m back with more memes! Did you enjoy the General Session memes? I really think this entire General Conference was amazing. I’m grateful to take part in this event, tweeting it and feasting on inspired addresses, every six months. Priesthood session is typically fantastic. For years I only studied it once everything was released in print form. However, a couple of years ago, The Church of Jesus Christ of Latter-day Saints began to broadcast it as well. I think this was a brilliant move. Neither the boys nor I wanted to venture out, so I watched it with them on our television. 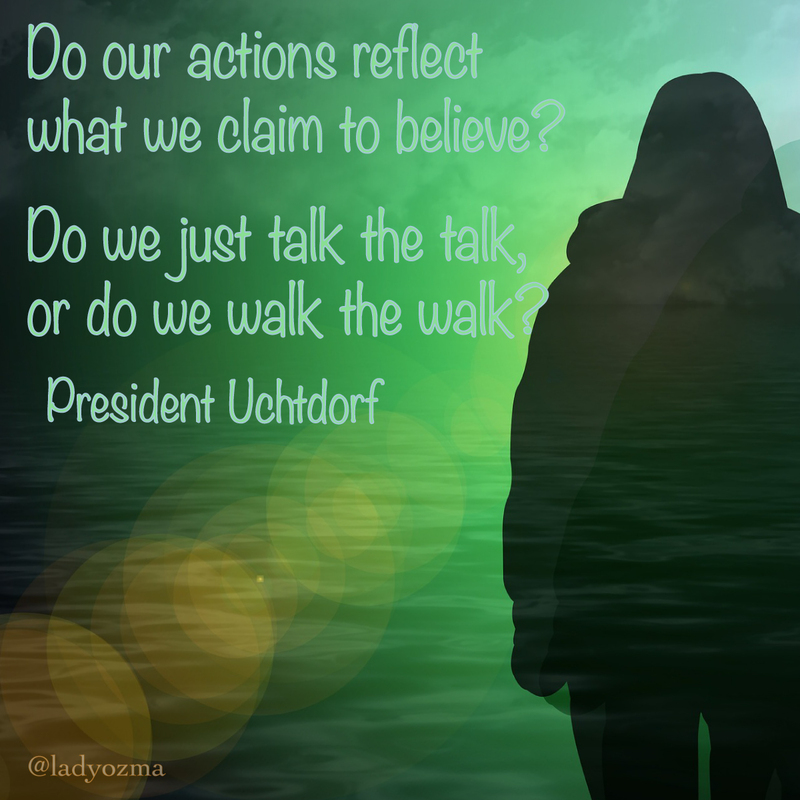 This quote from President Uchtdorf came from a long list of questions he asked of us. “The Silver Fox” as we lovingly call him always knows how to send his message home, as if he’s talking to you personally and not an entire world of people. I felt these two questions were ones we should often ask ourselves. How easy it is to get wrapped up into thinking we are OK, we are better than others, that we are somehow more special. The hubris in this hypocrisy is not one I want to bear. We cannot just say we believe, throw out quotes and scriptures and act as though that is enough. We must truly feast on the Words of Christ and we must write those things on our hearts so that our actions will be in line with our speech. This quote from Elder Anderson made me so happy. 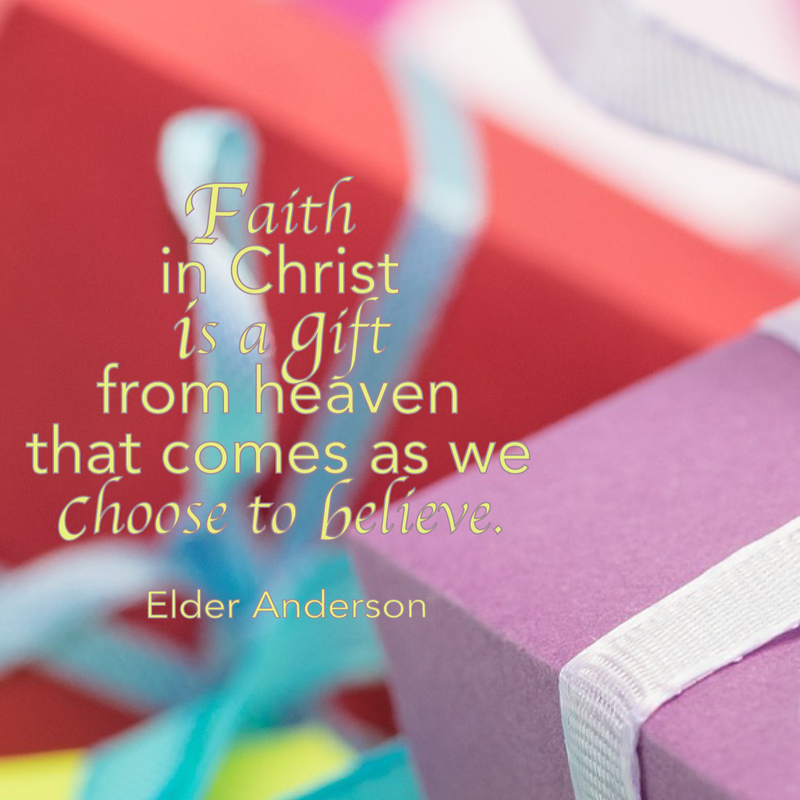 Faith truly is a gift. Sometimes we confuse “faith” with “knowledge”. We can know 2 + 2 = 4. However, faith is far more beautiful. It is an opportunity for us to act on belief – a belief we must choose to accept. This works for things far beyond just the spiritual. Think about the faith you have in your Significant Other, that they will honor and cherish you. What a beautiful gift you receive as you choose to act in faith and believe this. Sometimes it’s hard to keep putting one foot in front of the other. The effort can seem almost too much to bear. When we reach a proverbial fork, it can terrify us to decide which way to go. You are never alone, and as long as you are walking with God, you are surely on the correct path. 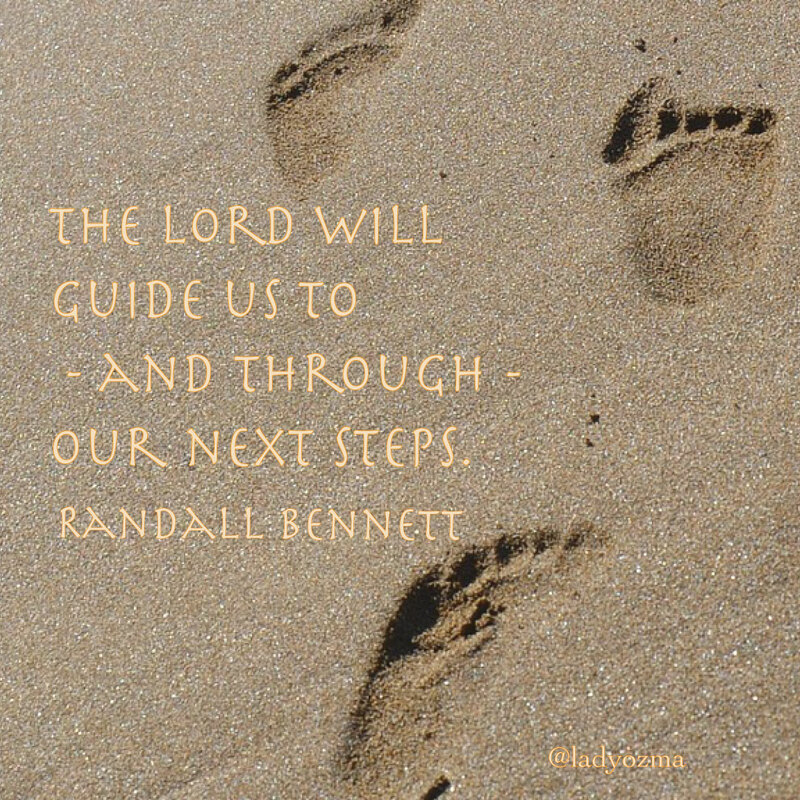 He will truly guide us through our next steps, so keep moving forward without as much worry. Remember the last quote – allow the gift of faith to lead you to beautiful things.